Starting a family business is an exciting venture and because the risks are so much closer to home it’s more important than ever your business starts out on the right foot. For experienced business and commercial law attorneys in New Jersey, this means two things – compliance and sound legal foundations. These two pillars are pivotal to protecting your business during the vulnerable formation stage as well as protecting it’s future. Firstly, it is necessary to decide on the legal structure your business will take, namely Sole Proprietorship, General Partnership, Limited Liability Company or Limited Liability Partnership. Each of these structures offers owners, directors and managers different levels of protection and risk, as well as having an impact on how the business itself is run. Sole Proprietorships dictate that a single person owns and operates the business, carrying all the risk as well as the responsibility for debts. LLCs are more flexible and have more elements of a corporation in terms of limiting the liability of the owners, whilst an LLP limits the liability of some or all or partners to protect each from the misconduct of the others. Depending on the industry your business will enter, each business has different licensing requirements, operational requirements and local permit requirements which need to be met in order to operate legally in the state. For example, home improvement contractors must be registered with the New Jersey Division of Consumer Affairs, whilst childcare centers are required to be licensed by the Department of Children and Families if serving six or more children. In addition, it is necessary to register your business for tax purposes and register each employee though Unemployment and Disability Insurance and Workers’ Compensation. Your legal team will be able to undertake these requirements themselves and advise you on how to stay compliant while utilizing all of the opportunities and incentives the state and federal government may be able to apply to your business. Other services your lawyers can provide include managing your insurance coverage, assisting with commercial transactions and contracts as well as negotiations. They will also be on hand to manage any legal issues your business may face and – having knowledge of your business since it was founded – insure all necessary paperwork and documentation that may be needed is recorded, kept secure and able to be made available if needed. At Sedita, Campisano & Campisano, LLC, we understand family businesses are about more than profit – they’re about creating a legacy. 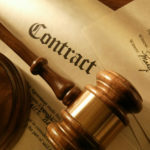 To find out more about how our business attorneys can assist you with your new venture in New Jersey, contact us today. Moving to a different state isn’t just about a change of lifestyle – it also has far-reaching effects on your estate plan. While wills and living trusts should be valid across all states, the laws of each particular state can change particular aspects of estate planning. It’s important to update these documents as soon as you are able, as these differences can significantly change what you would like to achieve in terms of deciding inheritance, reducing taxes and even managing your medical directives. New Jersey is an equitable distribution state rather than a community of property state, which does affect estate planning with regards to particular processes such as divorce. Rather than splitting assets 50-50, assets will be evaluated and distributed in a manner seen as fair, but not necessarily equal. If you are moving from somewhere in a community of property state, it is important this change is addressed. New Jersey also has its own additional estate tax which varies year by year. This year you will qualify for the state tax if the gross value of your estate exceeds $675,000. You will also qualify for the federal tax if the gross value of your estate exceeds $5,340,000. This gross value is inclusive of assets such as property, life insurance, IRA’s, bank accounts and investments so you can exceed the state exemption amount and pay around 10% of the estate value in tax. For people looking to keep as many of their assets as possible to support their family after their passing, it’s important you speak to an estate planning lawyer about implementing a trust that will significantly reduce estate taxes. If you have an advanced health directive or want to create one, it’s important you speak to an attorney who can walk you through the legal allowances and restrictions set down by the state of New Jersey. This will guarantee your wishes are maintained rather than impeded by legal technicalities. For example, New Jersey state law allows you to create two types of advanced directives, the first being an instructive directive for the medical care and measures you would like to receive and the second a proxy directive which allows a specific person to make decisions on your behalf if you are unable. In essence, reviewing your estate planning documentation is about guaranteeing your original wishes are adhered to as far as the laws of the state will allow. It insures your documentation is in order and that costly and time-consuming legal technicalities are avoided. For more information on estate planning and New Jersey estate law or to book an appointment at Sedita, Campisano & Campisano, LLC, please contact us today.